Feature Image: "Cosmic Biogenesis" by James Moss. Editor’s note: The following piece is part of an ongoing series that cultural historian William Irwin Thompson has been running on his blog. We’re featuring it as the first in a new section we call “Microdoses.” These will often be shorter, experimental publications like visual art, film, music, podcasts, and the poetic, philosophical “mind-jazz” that Thompson’s style embodies so well here. Microdoses are hypertexts. Connective, interlinking ideas between larger thought-pieces and works of art. They’re assemblages, which in their inter-weaving, reveal the “patterns that connect.” We consider the Microdose to be a digital mutation of the literary fragment. There have been a few developments in the 2016 election since these pieces have been written. For the sake of these “microdoses,” quick-fire mind jazzes on the political landscape as they occurred, we’ve kept them in their temporal slice of time. The term “metapolitics” was coined by the poet and cultural historian Peter Viereck in his 1941 book, Metapolitics: the Roots of the Nazi Mind. I confess that this book had a strong influence on me as I was writing my first book, The Imagination of an Insurrection: Dublin, Easter 1916, A Study of an Ideological Movement (Oxford University Press: New York, 1967). Politics is expressed in ideologies that are territorially based, but when an ideology is lifted from one location to become a universal ideology, it becomes more messianic and its leaders become avatars of a new worldview. Think of Che’ Guevara. For me, the cultural shift from an identity that is based upon a nation or a territory to one based upon a state of consciousness—indeed even a seizure of consciousness—expresses the transition from politics to metapolitics. In several of my other books, I have called this kind of movement a shift in individual identity from territorial nation-states to noetic polities. ISIL, Al Qaeda, and Boko Haram are current examples. I have also maintained before in more than one of my books that: “Evil is the annunciation of the next level of organization.” ISIL, Al Qaeda, and Boko Haram are the evil forms of planetization that use the Internet to attract followers, but other forms like science are also noetic polities. New forms will emerge as new global institutions come forth to deal with the crisis of industrial civilization and climate collapse. Nations will increasingly become like organelles within the cell. Our present planetary system of communication satellites that supports our new social media has become what printed media and the railroads were for the spread of modernism. In this blog I am trying to take a few more steps in this exploration of an unknown new world. Generally populist demagogues present themselves as voices of the people and they appeal to their sense of resentment and jealousy of the rich. One thinks of Huey Long. Donald Trump represents a new sort of cultural emergence. He is a billionaire based in New York City, but presents himself as the common man of the Heartland enamored with simplistic solutions. Mexicans, Muslims, and menstruating women become his favored scapegoats and objects of derision. He represents the new American cultural fascination with Winners that has been created by television. Politics is just another alpha male Super Bowl and TV is a medium that profits from attack ads, sound bites, and polarization in shouting matches rather than solitary reading and reflection. Trump is what Joe Six Pack would like to be, and his hideous Las Vegas High Rollers Suite sort of taste—expressed in the photos of his penthouse apartment on the Web—is just the style Joe Six Pack would chose if he won the Powerball Lottery. In his marriage of corporate elites and mass vulgarity, Trump’s brand of Republicanism recalls the union of the I. G. Farben and Siemens corporations with the new masses of the National Socialists in Germany in the 1930’s. We had White resentment then for the Treaty of Versailles, and we have White resentment now for the new multicultural America in which these angry white working class men and women now feel like aliens in their own country. When Trump says “Make America great again,” his supporters know it is a code for “Make America White again.” Hillary has lost her historical traction; the coming election is an example of McLuhan’s “cultural retrieval” of the thirties with Bernie’s reprise of FDR’s New Deal socialism and Trump’s reprise of Mussolini’s populist fascism. “The medium is the message.” And we need to remember that in the nineteen-thirties, radio transformed politicians like FDR and Churchill into cultural saviors, and television transformed the presidential election of 1960, so now social media and the Internet are transforming this election of 2016. The Republican Party got trumped because it had no intellectual philosophy of governance. It just had a clot of negations of other people’s ideas. You can’t run a complex, multicultural, nuclear-weaponed nation-state with the gut feeling that government is bad, and so the less we have of it, the better off we will be. Thus, being against philosophies of governance, climate science and evolution in particular, and science in general, left the Republican Party without an intellectual immune system and the infection of nativism and white male anger took it over. Nativistic movements arise when the “mazeway” of paths in a culture become incoherent and confusing, and this incoherence often arises when a culture is shifting from one worldview to another. The Ghost Dance in America and the Boxer Rebellion in China are classic examples. In successful cultures, intellectuals arise who aid the transition by articulating the new worldview. Such was the case in Europe with the Renaissance and its shift in world views from religious medievalism to scientific modernism, from hierarchical kingdoms to bourgeois nation-states. But even in the case of Europe with its Renaissance, Scientific Revolution, and Enlightenment, there still appeared the bloody Thirty Years War, and England had to go through a civil war with Cromwell to bring forth a parliamentary republic. But England and its American colonies kept thinking, first with Locke and then with Jefferson. Yet even with the American, French, and Irish revolutions, revolution was followed by civil war. With the new polarization of the United States between the social democracy of Bernie and the white nativism of Trump, the USA is entering a danger zone of political polarization that can lead to civil war. The coasts express a planetary cultural awareness, but the Heartland—from Montana down to Texas, the Midwest and the Deep South—expresses nativistic values. It is ironic that this nativism has found its leader with an elderly man showing the signs of the onset of senile dementia  who is a billionaire and a New Yorker. Trump’s new nativistic movement has emerged because it is really about multiculturalism versus White Protestant America. So it is time for America to do some serious thinking—thinking about science, climate change, immigration, and the ideas needed to govern a complex multicultural technological nation-state that lives within a world economy. Fortunately, the northern part of North America has already started with the election of Justin Trudeau to the premiership in Canada. Now it is time in this national election for the USA to follow Canada’s lead. When I was too young to read Aristotle on the polis—when I was in the eighth grade and studying ancient history in LA—I learned that the Greek polis emerged in the Assembly of wise seniors and able-bodied young men who could defend Athens in democratic hoplite formations against the attacks of the Persian Empire. War was no longer a warrior’s individual heroic display in his Homeric aresteia, but a collaborative effort. The Persian Empire was a communication system held together by good roads and fast horses with messengers and military outposts. An empire, as opposed to the Greek democratic polis, was the territory of the subjected. The territorially assembled were subjects and not citizens. From the dawn of civilizations in ancient Mesopotamia, India, and China, empires had an ethnic and religious dyadic system of identity of “us” and “them.” Even to this day, the Han Chinese maintain a system of exclusion of “foreign devils” and hold to their system of identity by using the communist party as its priesthood. The Roman Empire, by contrast, introduced the idea of the citizen, and St. Paul in Syria was proud to be a Roman citizen and used his citizenship as a means to transform a local Palestinian prophetic movement into a universal religion. Classical Rome tried to use its clumsy system of polytheism as the cement for imperial identity, but it was not successful, and Persian Manicheanism, Mithraism, Gnosticism, and Christianity remained attractive alternatives. With Emperor Constantine first, and then Justinian, Christianity proved to be a simpler and more effective way to hold an empire together. Even after the final collapse of the Roman Empire in 476 A.D., Christianity survived and grew during the Dark Ages and Charlemagne was crowned Emperor of the Holy Roman Empire by the Pope in 800 A.D.
What is happening today is that these two ancient and archetypal forms of empire have returned and are competing for dominance. The so-called American Empire sought to absorb civilizations into its multicultural identity. With the Marshall Plan, and the postwar Bretton Woods American Dollar economy, it first absorbed Western Europe. Now it is trying to show that Islamic Civilization can also become American. The Umah and the oil barrel can both live in peace within a new expanded “us.” So when I walk the streets of my city, Portland, Maine, I see little girls in hijabs playing baseball in the local schoolyard, and I see Somali women wearing the Dirac and Guntiino. This multicultural America is what Trump wishes to eliminate in his nativistic movement of a return to White Protestant America. In this nativist vision, if immigrants come to America, they should wear blue jeans and American college sweatshirts. Paradoxically, Trump’s vision is isomorphic to the Han Chinese vision of empire and identity in which China seeks to shut out the incursions of the World Wide Web. If the USA follows Justin Trudeau’s vision of a multi-cultural North America, and is able to absorb Islamic Civilization, as before it absorbed Irish Catholics and Central European Jews, then the Roman model of Empire rather than the Persian will emerge, and thanks to the Internet and the politics of the Internet that Bernie Sanders exploits so well in his fund-raising, the Noosphere first articulated by Russian Vernadsky and then by French Teilhard de Chardin will emerge as a global noetic polity. Sanguinal polities are based upon blood lines; imperial polities are based upon territory and an imperial language. With the emergence of English as a global language with a world English literature of writers like Salman Rushdi and Amitav Gosh, the Noosphere is no longer a visionary idea, but a cultural reality. To put a stop to this cultural evolution is what Trump is all about, but as a global businessman he doesn’t stand a chance to succeed. He can obstruct and impede, and set back cultural evolution in favor of a new American Dark Age, but he cannot succeed in the long run. Mongolian nomads sacked India and Persia, but eventually the Mongolian Empire became the world’s largest. However, I do not wish to fall into a simple Whig vision of history as an inevitable march of progress. In Indian Partition after the Second World War, the united kingdoms and nations that was India fell into Islamic and Hindu nativist visions and now face off with one another and threaten nuclear war. Nativistic movements can do a lot of damage, so as these two archetypal forms of empire face off with one another in this American election of 2016—as they did in the emergence of classical Greek democracy after the battles of Thermopylae, Marathon, and Salamis—let us step back, look at the Big Picture, and vote to enhance the emergence of the Noosphere by realizing that Islam helped to create the European Renaissance and can now become as American as hamburgers and falafel. I don’t think we Americans should characterize the recent Brexit vote as an another version of nativism with blond Boris Johnson serving as an English version of Trump. The EU bullied Greece, and the neoliberals—who define culture only in terms of a theory of markets of rational self-interested individuals—enforced economic austerity rather than Keynesian public investments. Yes, there is an element of anti-immigration among the working classes, but that is because the corporate managers dump cheap labor into their communities to break up labor unions, and then retreat behind their gated communities to avoid the social consequences. Planetization and Nativism are entwined forces. As we saw before in the Taiping and Boxer Rebellions in China, when the global economy expands, time contracts and becomes mythologized in new compensatory systems of identity. In the EU and the UK, as well as the USA, it is time for a new Big Think about the role of nations in the globalist capitalist system where they are seen as encultured societies with differing systems of identity based upon class and language and not simply as rational agents operating in a market system. Now that the vote is in for Brexit, I hope Scotland leaves the UK. And this time the Scots should do it right by getting rid of the monarchy. A much harder call is what to do about a new Scottish currency. Ireland has the Euro, but the Euro is massively undersupported. Better brains than I will have to figure that one out, but new thinking is called for—perhaps one in which Scotland faces westward to support its currency with Canadian and American dollars rather than English pounds. On the political level of governance, there should be a county by county referendum in Northern Ireland to let the people decide whether they wish to be part of the Republic of Scotland, or the Republic of Ireland, or the Monarchy of England. Monarchy is an expression of what Jean Gebser would call the Magical structure of consciousness. It expresses a system of dominance that we inherited from the apes rather than a system of representation. It is useful in holding a collection of warlords and warring tribes together on a higher level of organization, but it is not an appropriate form of government for a modern nation-state. And yet, there are many people in the Old World who still cling to this Old World form of thinking. They may no longer believe that the king’s touch cures scrofula, but they do have faith that the face of the monarch on their currency secures it as a fiduciary instrument. Qui iudicent populum. The second is Professor Saul Mendlovitz’s proposal for a United Nations emergency military force that can go into nations that subscribe to the UN Charter and remove dictators that are violating the human rights of its citizens. We should not let dictators like Syria’s Assad slaughter its citizens and destabilize Europe by creating hundreds of thousands of refugees. The Blue Berets should step in and take away the dictator for trial at the World Court in the Hague, just as the UN did with Slobodan Milosovic in Bosnia. Yes, such interventions are a violation of sovereignty, and the Permanent Five Members of the UN Security Council—especially China and the US—will always veto such an action. So the challenge of our century is to redefine sovereignty, just as the United States had to redefine states’ rights in order to transform a loose federation of sovereign states into the United States of America; and that political evolution, certainly, was no easy transformation and actually took a civil war to effect it. The first institution can inform and the second institution can implement laws that address global climate collapse and its attendant catastrophes by compelling nations to comply with UN standards for reducing industrial pollution. China and the USA can no longer consider the atmosphere to be a public sewer into which they can dump their toxic by-products of industrial manufacture. Perhaps such an institution could become an extension of the World Health Organization. One cannot control the outbreak of pandemics by concretizing national boundaries with walls, so as the catastrophes of the present increase in number and ferocity, some new UN institutions will need to come forth. After a civil war in 1848, the Swiss created a national federation that energized the language and culture of the canton, so some form of compensatory cantonization will need to be part of the process of planetization. If these cultural and ecological challenges cannot be met because of the reactionary blockages of religions and nation-states, then Homo sapiens will simply experience extinction and the meek of the insects will inherit the Earth. See David W. Orr, Down to the Wire: Confronting Climate Collapse (New York: Oxford University Press, 2009). See Sophia A. McClennen, “Maybe Donald Trump has really lost his mind: What if the GOP frontrunner isn’t crazy, but simply not well?” Salon. April 25, 2016. See William Irwin Thompson, “Catastrophist Governance and the Need for a Tricameral Legislature” in Self and Society: Studies in the Evolution of Culture (Imprint Academic: Exeter, UK, 2004, 2009), pp. 137-143.
http://www.globalcommonsecurity.org/gcs/wp-content/uploads/2015/11/Mendlovitz-UNEPS_Statute.pdf. Professor Mendlovitz proposed this idea at the Lindisfarne Fellows Conference at the Upaya Zen Center in Santa Fe, NM in 2007. 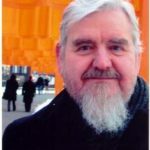 William Irwin Thompson is a historian, former MIT professor, and founder of the Lindisfarne Association. He is the author of several books, including Coming into Being: Artifacts and Texts in the Evolution of Consciousness, The Time Falling Bodies Take to Light and most recently Thinking Together at the Edge of History: A Memoir of the Lindisfarne Association.